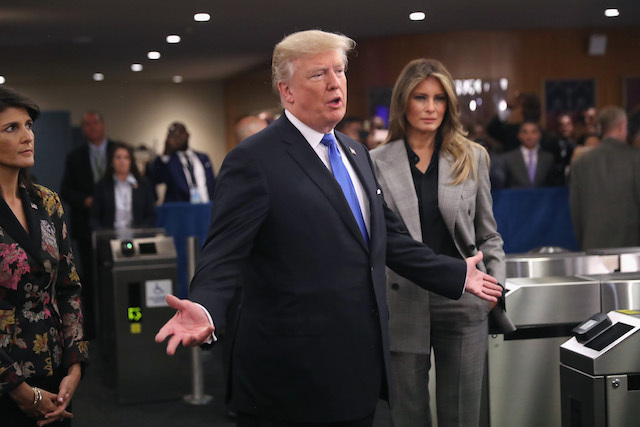 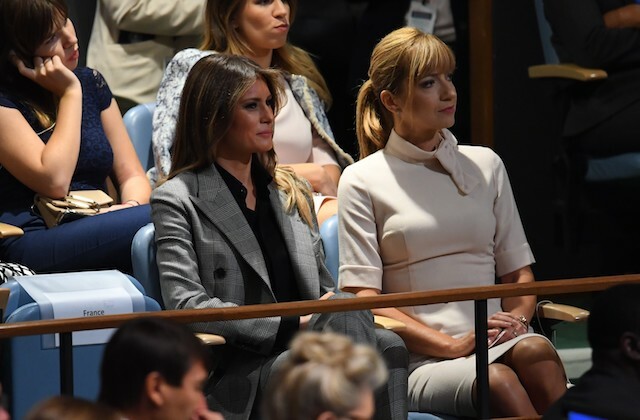 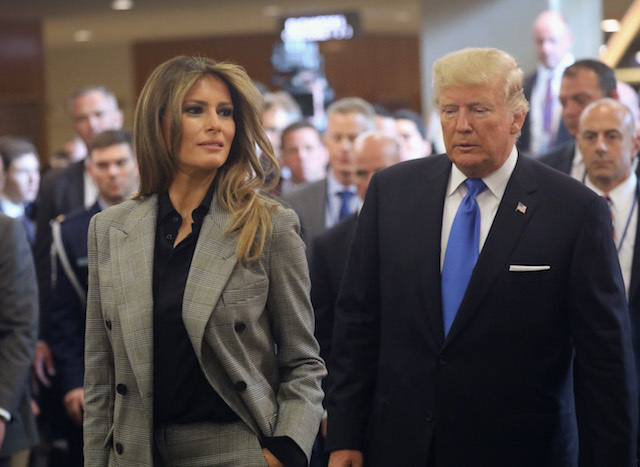 Melania Trump showed up to the 72nd United Nations General Assembly in New York City Tuesday in a striking grey and white plaid pant suit. 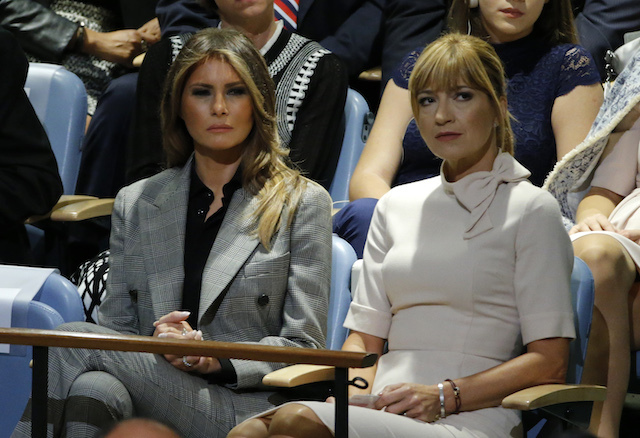 She completed the fantastic look with a pair of black high heels. 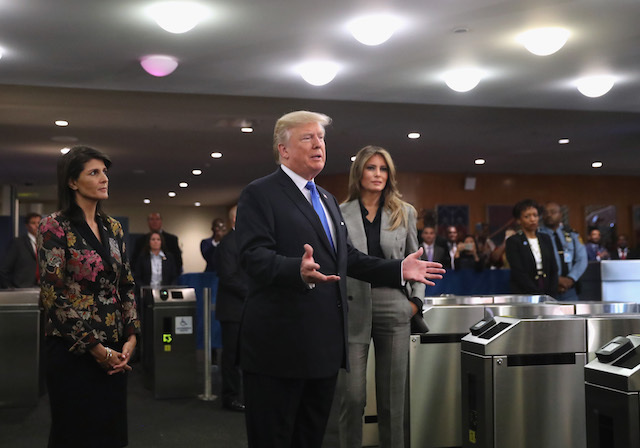 In one of the shots, Trump looked rather pleased with the president’s speech, which promoted nationalism and threatened “rogue regimes” that are not living up to the standards of the UN.